Successful participation in the assessment of suitability executed on the basis of the documents to be submitted. 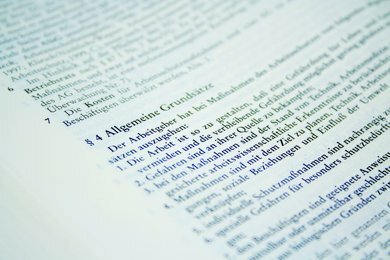 Ability to follow lectures in German and to process English case studies. Company surveys have shown that there is a demand for graduates with an advanced knowledge of marketing, market research and distribution. However, such advanced expertise in marketing can hardly be acquired in a common business degree program since at each institution of higher education there are only a limited number of hours a week available for each core subject area. This gap is closed by the degree program Marketing Management (M.Sc.) 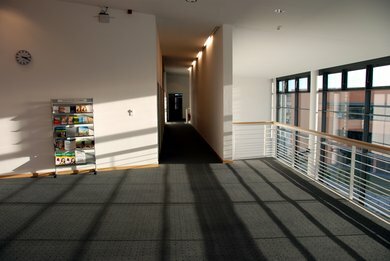 at the Hof University of Applied Sciences. The degree program is scientifically oriented and corresponds with the thematic requirements of business practice. Currently 15 full-time professors and lecturers teach in the Master Marketing program, all of them proven experts in their respective area of expertise with years of practical experience as well as executives from industry and trade. The basis of high-qualified lecturers and the options for students are enlarged by the collaboration with the institutions of higher education Amberg-Weiden and Landshut. The advanced level courses in the special fields of marketing – from sale of investment goods to online marketing, from trademark law up to dialogue marketing etc. – enables the graduates to acquire a qualification which provides them with a competitive advantage compared to graduates of other degree programs when it comes to the filling of the most attractive positions in marketing and sales. A suitable offer for whom? Additional qualifications in marketing and sales improve job and career opportunities of each applicant. To be able to start the postgraduate program a first degree is required. The degree program welcomes students from all study areas, whereby a gradual access is intended. Also graduates of “exotic” degree programs can improve their job opportunities through this Master’s degree program, provided that they meet the entrance requirements. The postgraduate program Marketing Management offers the opportunity to acquire an international considered Master of Science (M.Sc.) degree in a short period of time. The degree program MM at Hof was one of the first Master’s degree programs in the German-speaking area with an in-depth specialization in marketing. The training conveys abilities and knowledge which are required for a responsible position in marketing. Our students have already won prices, have qualified for promotion programs and scholarships and get access to the leading branded goods companies, either for internships, for own research projects within the scope of the empirical Master’s thesis, for trainee programs or a permanent position. Besides teaching, application-oriented research plays a central role. In MM the extensive equipment of leading manufacturers is used. Trade fair visits (e.g. CO-REACH, Research & Results, CRM Expo), company excursions (e.g. Baur Versand, Loewe AG) and lectures of renowned companies (GfK) complete the practical relevance of MM. Students from numerous countries pursue a degree in MM at Hof. The applicants for the degree program come from all over the world. Working in international student teams sensitizes especially for the importance of globalization in modern marketing. English-speaking case studies are an integral part of many lectures. special lectures deepen the topic of internationalization. on request a semester on leave for a stay abroad can be arranged. Equivalent lectures can be accepted as a substitute for the required courses of the MM degree program. Why should one go to Hof for a Master’s degree? There is no place where you can acquire the Master’s degree faster and in a higher quality. You study at a state-of-the-art institution of higher education with motivated lecturers, in international teams. The site Hofis ideal for a target-oriented second degree, distances are short and costs of living are low. 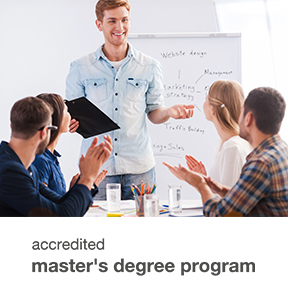 Within the scope of the MM degree program you will receive 50 hours a week of focused marketing training. The training’s breadth and depth are unique. The comparison with the offer of other institutions of higher education explains why so many outstanding first degree graduates from Germany and abroad apply for the Master Marketing Management at Hof.